I recently got asked if i would like to have a sample of Iron Vital F from Hübner and due to my still long lasting morning (all day) sickness i was very keen to try it out. Because i lost my appetite and struggle with even eating a nutritious meal i knew that my iron levels will be taken care off and i don’t have to worry too much. Unlike other tables i had to take it doesn’t taste too bad and you certainty dont feel like having any kind of iron metal taste in your mouth after taking it. I certainly feel like i have more energy since starting to take it daily and people do say to me I don’t look as pasty anymore. 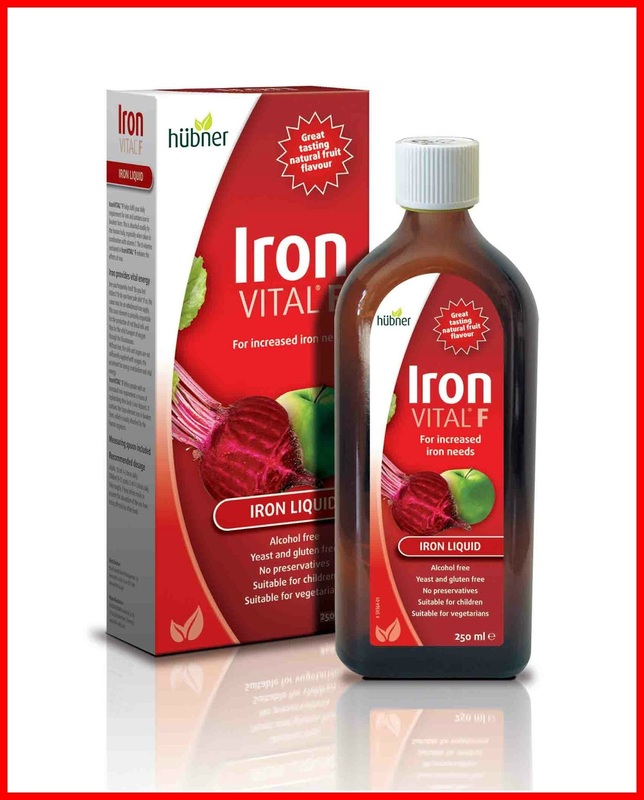 Hübner’s Iron Vital helps fulfil your daily requirement of iron in easily absorbed gluconate form. Without Iron, the cells and organs are not sufficiently supplied with oxygen, the accelerant for energy metabolism and vital energy. Iron is also excellent for pregnant women AND in contrast to some iron supplements, Iron Vital tastes delicious. The aroma is fruity and fresh, but not too sweet, and the iron doesn’t linger heavily for hours in your mouth. Kids also love the naturally sweet taste of fruit. Rosemary Sour orange Melissa Gentian Yarrow Stinging nettle Vitamin C (20ml provides 120mg) Iron -II-gluconate (20ml provides 20mg) Thickening agent: guar seed flour, carob seed flour, pectin; natural flavours, niacin, pantothenic acid, folic acid, vitamin B1, vitamin B2, vitamin B6, vitamin B12. Iron Vital F costs from £14.99 for 500ml and is available from health stores nationwide, including Holland & Barrett, and selected pharmacies. Disclaimer: I was send a sample of Iron Vital F from Hübner free of charge for reviewing purposes however all thoughts and opinions are my own.